Directed, produced, and filmed by Matthew Heineman, CITY OF GHOSTS follows the journey of “Raqqa is Being Slaughtered Silently” – a handful of anonymous activists who banded together after their homeland was taken over by ISIS in 2014. This is the story of a group of citizen journalists as they face the realities of life undercover, on the run, and in exile, risking their lives to stand up against one of the greatest evils in the world today. 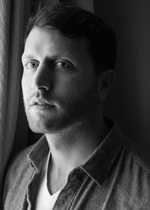 This is the second time that Oscar-nominated filmmaker Matthew Heineman has won the IDA's Courage Under Fire Award. CITY OF GHOSTS premiered at the 2017 Sundance Film Festival and is currently being distributed worldwide by Amazon Studios. Heineman’s previous film CARTEL LAND was nominated for the Academy Award for Best Documentary Feature and also won three Primetime Emmy Awards, including Exceptional Merit in Documentary Filmmaking. He also received the Outstanding Directorial Achievement in Documentary Award from the DGA and the Courage Under Fire Award from the IDA. Previously, Heineman directed and produced the Emmy-nominated feature-length documentary ESCAPE FIRE: The Fight To Rescue American Healthcare. Heineman is currently in pre-production on his first narrative feature A PRIVATE WAR about legendary war reporter Marie Colvin, and he is also directing a documentary series for Showtime that will air in 2018.